Language barriers are costing you money. Differences in language hinder growth ambitions and drive a wedge between your business and its potential customers. 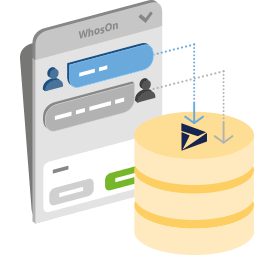 Enter WhosOn. 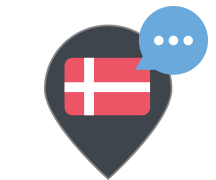 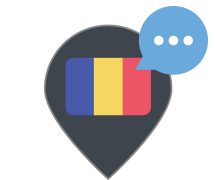 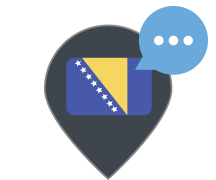 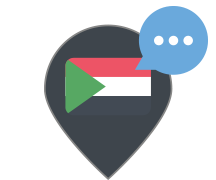 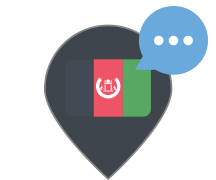 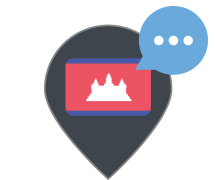 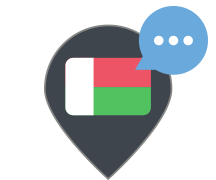 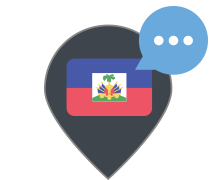 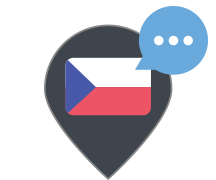 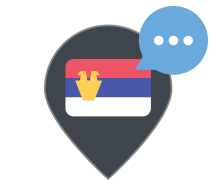 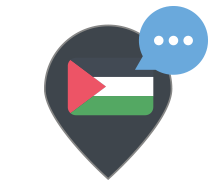 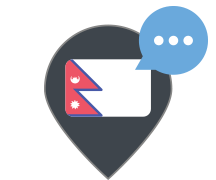 Our real-time live chat translation engine allows your website visitors to chat to you in their own language, quickly and comfortably. Your customers don’t all speak the same language. 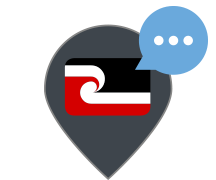 That doesn’t mean they should be cut off from accessing support. 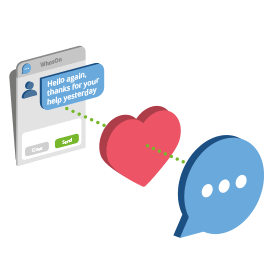 WhosOn automatically translates chat messages back and forth between customer and agent. 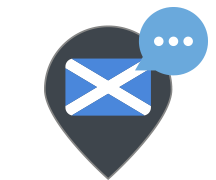 Even better, it does so seamlessly, instantly, and in the background. 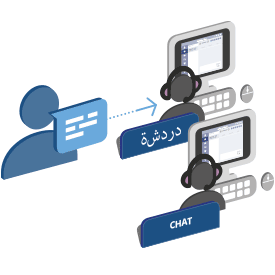 With the addition of a single live chat channel, you become a multilingual business fluent in all the world’s major languages. 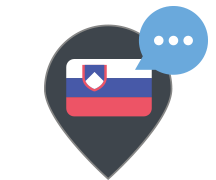 Real-time language translation rolled into your live chat solution comes with a host of benefits. 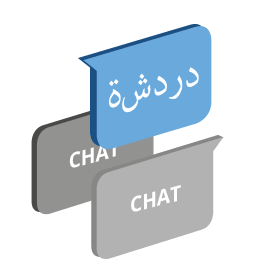 By removing language barriers, you enable fluid communication. 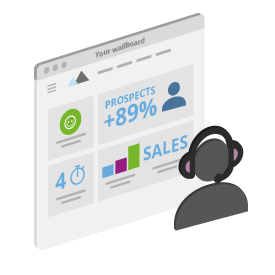 In turn, you present minimal disruption to your prospect, and minimal hiccups to their journey. Customer service quality assurance can be problematic when the agent and consumer are crossing wires. 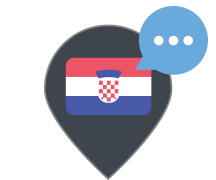 Real-time live chat translation helps you create consistency. 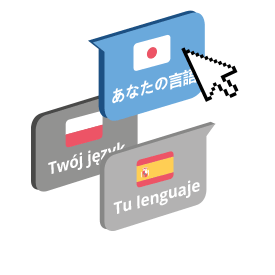 Hiring multilingual agents is expensive. 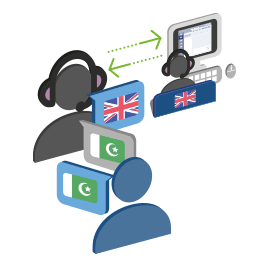 So is running offshore call centres. By comparison, WhosOn provides a single, cost-effective real-time translation solution. Translation also extends into your internal chat sessions. This helps improve company communication and collaboration, while supporting diversity infrastructure. 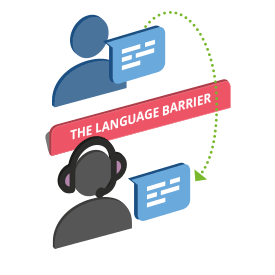 Language barriers eat up time and hamper productivity. That’s not to mention the employee irritation they birth. 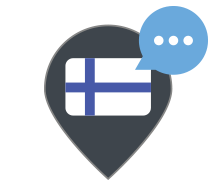 So, removing them helps your service wheels run smoother. 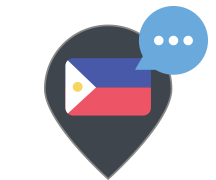 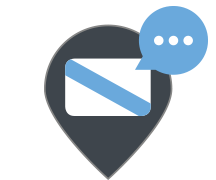 Real-time chat translation allows you to grow – and better serve – a global audience. 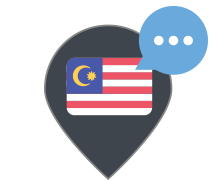 Plus, you can extend into lucrative foreign markets such as China and the Middle East. 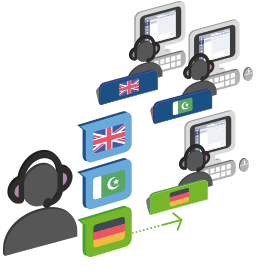 Multilingual customer support shows a commitment to the customer and their post-sale aftercare. In turn, it helps you build a reputation as a trusted brand that cares. Offering support in 100+ languages is a key differentiator. 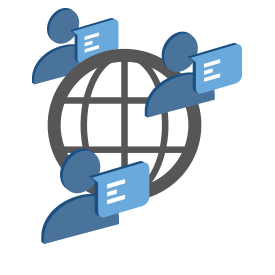 It presents a huge opportunity for early adopters to lead the way at home and contend in the global marketplace. 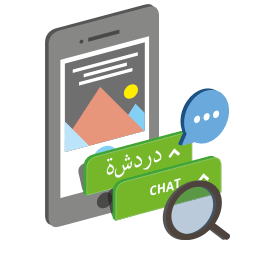 Chat translations runs both ways. Your customers can chat to you live in their own language, while your call centre agents chat back in theirs. 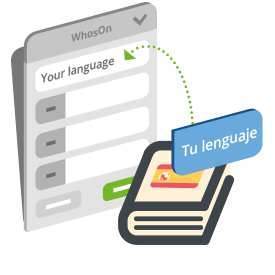 WhosOn offers rich API integrations with both Microsoft and Google translation services. So, you can choose the translation technology that best suits your ecosystem. 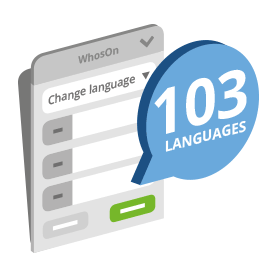 Spanning Europe, Africa, Asia and the Americas, WhosOn smoothly supports all the major languages of each continent. 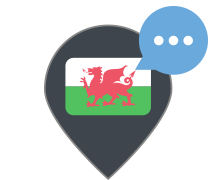 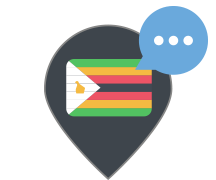 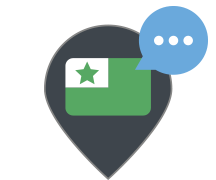 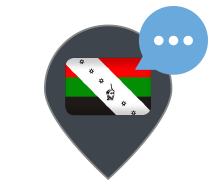 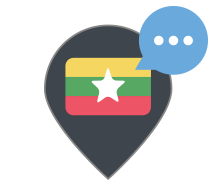 At the start of a chat, the visitor can opt to use translation to their preferred language – enabling agents to quickly configure each session to suit individual needs. 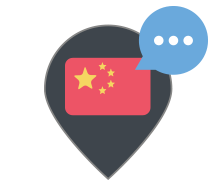 For proactive rather than reactive translation, WhosOn can also use the GEOIP from the visitor browser setting to detect and select language automatically. 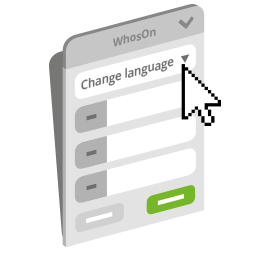 WhosOn can also dynamically change your chat button, pre-chat survey and post-chat survey language to suit the visitor’s needs. 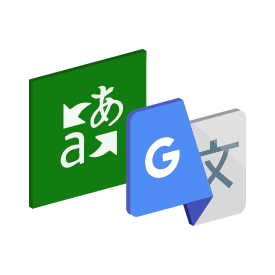 For full customisation, we can provide a dictionary file for the application's window text, which you can translate in-house to meet your own language requirements. Alternatively, we can translate the client on your behalf – delivering WhosOn in your language(s) of choice out of the box and fuss-free. 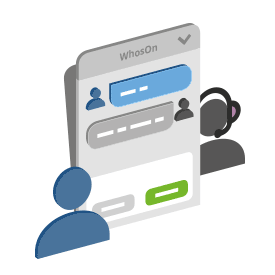 To keep your records clean and coordinated, WhosOn generates chat transcripts with both original and translated text. Then, it pushes each transcript to CRM. 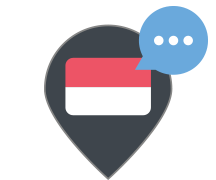 Are you speaking the customer’s language? What does live chat translation look like? Our translation services are free to trial for 30 days – no credit card required. 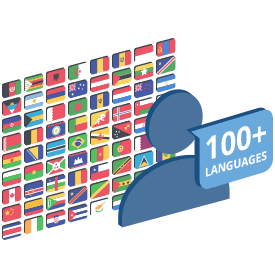 Simply request a translation account before or during your trial period and we’ll give you access to the 100+ languages available.